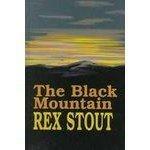 The big news about Mr. Stout's big boy, Nero Wolfe, is that he not only gets out of the house to the morgue (for his first visit) but travels to Montenegro and that isn't all -- he even plays hide and seek with villainous characters in the mountains! All on account of his oldest friend, restauranteur Marko Vukcic, a boyhood friend from Montenegro, has been murdered. Wolfe following an international line is something to sit up about --and Goodwin does. Surprise, surprise!